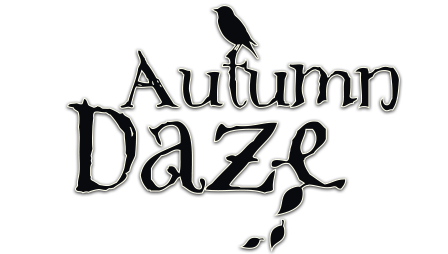 Fond memories of an English nut brown ale of bygone years inspired Autumn Daze. A strong brown ale, mahogany in colour with a gorgeous aroma of caramel, nuts and hop. Caramel and malt dominate the flavour but with a hint of liquorice and treacle. Rounded hop character underpins the malty, nutty, dark fruit flavours. Cask at the Harp, London. Pours a clear, rich amber with a creamy film head. Light malt aroma. Flavor is sweet, with semi dark, toasted malts, ripe fruits, light toffee and faint, citrus and herbal bitters. Light bodied with soft carbonation. Finishes sweet and malty with a very mild hop presence. Good stuff. Cask at the White Lion, Aldershot. 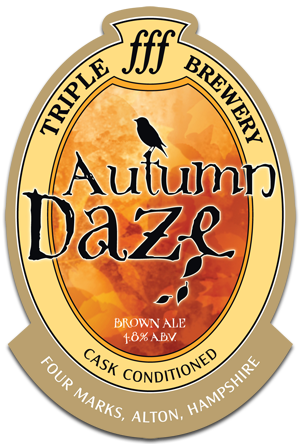 ABV 4.8% An attractive reddish copper colour with a loose off-white head; aroma of blackberries; sweet autumn fruit flavours, but rather thin; then a dry and nutty finish. Pleasant and warming on an autumn evening. Cask at Charlies Bar, Copenhagen. I had this both in the fall of 2007 and 2008. A slightly hazy golden beer with a thin beige head. The aroma is very lightly malty. The flavor though is very sweet and very fruity, combined with light notes of alcohol and lemon, making it a bit soda like - and hence quite dangerous when weighing in at 6% ABV.